Head quarter is at Atlanta. The industry type is manufacture of hardware and software solutions in global computer marketplace.They are Computer hardware ,Diagnostic software,Remote access,Motherboards,Firmware,Storagesystem.AMI’s Aptio and UEFI firmware dvelopments are Aptio,AMIBIOS,StorTrends storage products,MegaRAC Backplane Controllers and Manageability Solutions. 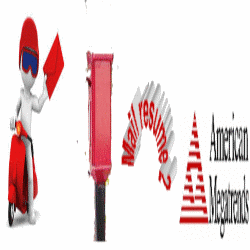 In American megatrends career page is available but not having job account .If requirements available in the career page and if it satisfies our conditions then we can send resume to this mail id hr@ami.com. In American megatrends ,there are many job positions available such as software engineer ,development engineer and more.The required knowledge in American mega trends are software programming in c,c++,pascal and strong knowledge in microprocessor ,microcontroller architecture,assembler programming.Then also be strong in BIOS related topics.